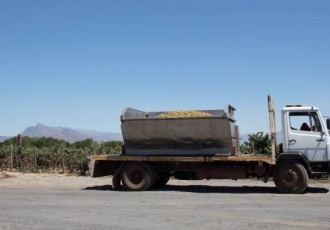 In this first of a series of articles following the journey of Cape Brandy from the vine to bottle, we have a look at the source of the magic, the Grape vine and the critical role it plays. The story of fine Cape Brandy begins at the source and life blood of the grapes themselves, the vines. Much is overlooked about “Vitis”, the formal name given to the some 79 species of vining plants in the flowering family Vitaceae. 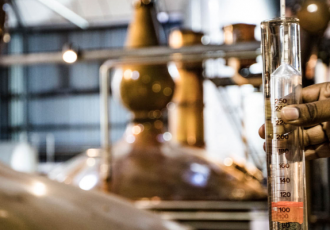 But their health, well being and nurture is critical to the production of quality grapes for wine fermentation, and ultimately, Cape Brandy distillation. 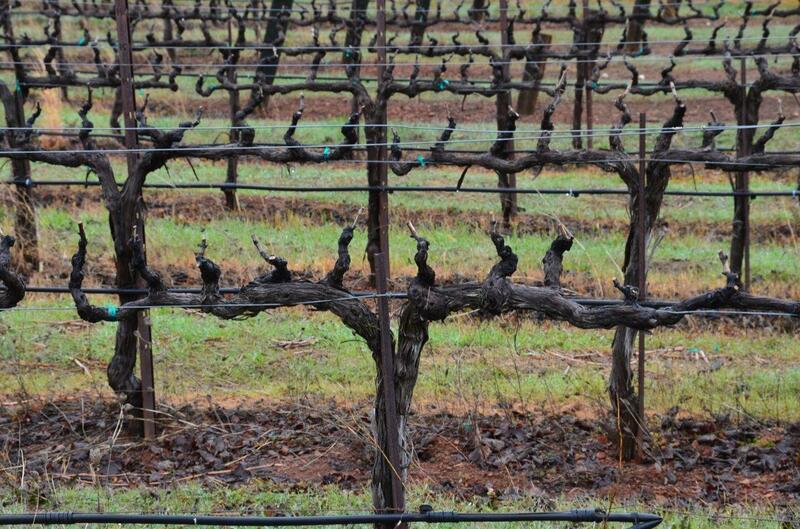 In order to extract maximum crop sizes from vines, they are planted in system known as trellises. When young vines are first shooting up towards the deep blue sky, they are tied against wires running parallel with the ground. This cane is then left to thicken and mature over the years, it is off this single cane that further spurs will shoot, these spurs are trained upwards vertically to the ground. These are the spurs from which the flower bunches bloom and if fertilisation successfully occurs, grapes will grow. 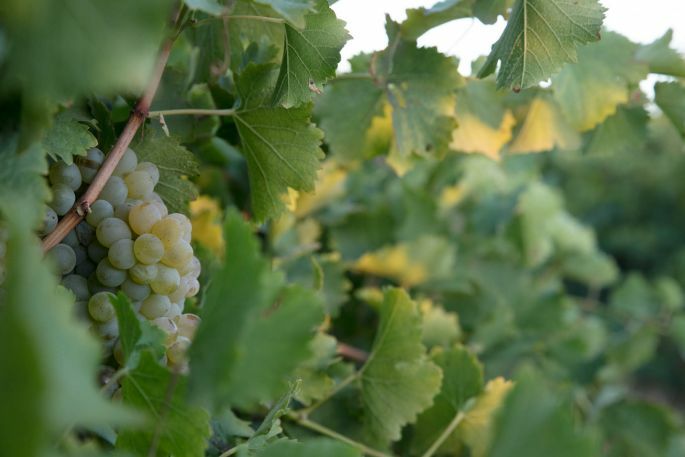 Once the “bunches” have started to form, it is important that the grapes receive adequate water supply and sufficient sunlight to ripen them correctly. It is a slow process that takes up to 3 months. 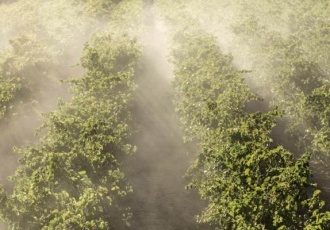 During this period, the grapes are also monitored for insect and fungicidal activity, and treated accordingly to ensure they are as healthy as can be. Once they start to really ripen, they become prime targets for insects, birds and other animals. Luckily for brandy grapes, they are harvested before they become too sweet and attractive to creatures, but this remains a real threat to table grape farmers. It is important during the early days of a grapes development that there are sufficient leaves on the spurs supporting the bunch for it to get the required nutrients and shade for ripening. The leaf count is closely monitored on bunches, and often vines are “topped” or trimmed at the top when they get to long, to ensure maximum resources are invested by the vine into the grapes ripening and not supporting superficial foliage and growth. Towards the end of the ripening cycle, leaves may be trimmed back to allow the sun to fully ripen the grapes to the desired level. 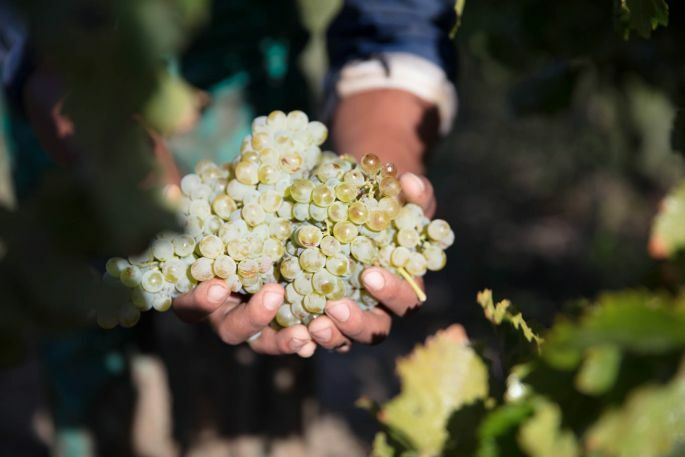 Once the sugar content in the grapes has reached approximately 20 degrees balling for Cape Brandy grapes, they are harvested by hand to ensure minimal damage is done. This most often happens for the typical Cape Brandy varietals of Columbar and Chenin towards the middle of the month of February. Grapes are carefully packed into crates and transported to the cellars for cracking and juice extraction. Once the grapes have been harvested for the year, the job of the farmers is not done as far as the vines are concerned. One of the most important jobs takes place a month or two after the vines have shed all their leaves, and is to prune them back to be ready for the next year’s growth. Spurs that bore fruit in the season are cut right back down to the canes from which they emerged, to stimulate growth of brand new spurs the following season. The science of pruning is complex and precise, and totally critical to the ongoing longevity, and yield of vines in a vineyard. *At the time of publishing, the grapes earmarked for our Cape Brandy production were almost ready for harvesting, and in the coming months we will release a series of posts detailing each step in the process, and how these grapes go from the vine into the fabulous Cape Brandy bottles for all to enjoy and appreciate.